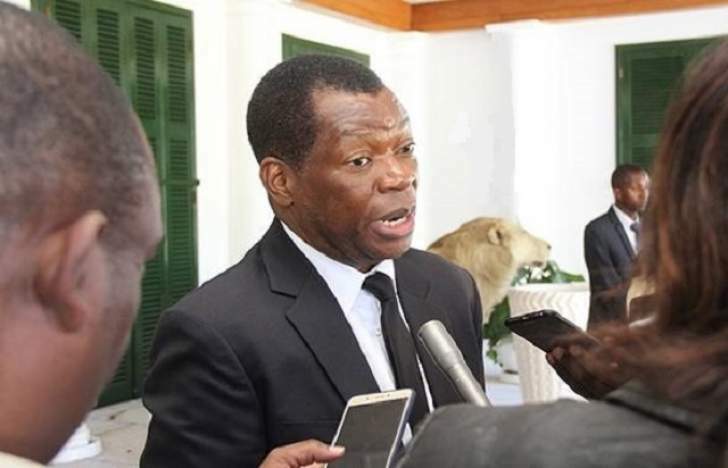 The appointment of Kumbirai Hodzi as the country's substantive Prosecutor General was above board, the government has said. He took the oath of office yesterday before President Emmerson Mnangagwa at State House, Harare. Hodzi had been the acting prosecutor general since the resignation of Ray Goba last year. Virginia Mabhiza, the Justice, Legal and Parliamentary Affairs permanent secretary, told the Business Times that President Mnangagwa exercised his presidential privilege to choose Hodzi ahead of the first three names submitted to him. "For the record, the Prosecutor General who has just been sworn in was on tie with Ms Jessie Majome on number five; they had 53% together. And if you saw the table of results, there was number four, and the two of them were on number five and they automatically became the second list which was submitted to the President." Interestingly, the interview scorecard gleaned by the Business Times indicates that Hodzi came sixth, with a total of 584 points. The highest was Tichaona Mantsebo, followed by Tinomudaishe Chinyoka and Misheck Hongwe in that order. The other candidates who were all interviewed publicly for the post were: Noria Mashumba, Florence Ziyambi, Jessie Majome, Wendy Chingeya, Justice Maphios Cheda, Misheck Hogwe, Tinomudaishe Chinyoka, Edmund Marondedza, and Tichaona Mantsebo. Unimpeachable sources who have been closely following the events say Hodzi suffered in the interviews as the suspended Chief Magistrate Mishrod Guvamombe gave him low marks (22) as part of a ploy to have Tinomuda Chinyoka appointed. But Mabhiza insists that the appointment was well above board. "There is no reason for people to think [Hodzi] should not have been appointed," said Mabhiza. "He falls squarely within the range of those who were submitted to the President. So there is nothing wrong with what the President has done. "You must also consider that when it comes to appointments, it is not only a matter of picking who is where [on the interview list]. There are so many other considerations when you are head of state, and I suppose the current Prosecutor General passed that test," Mabhiza added. Advocate Ray Goba resigned in September last year after he was suspended from office on a raft of allegations of misconduct, such as failing to prosecute high-profile cases, travelling without cabinet authority, and the use of abusive language.